Benzoyl peroxide stops acne bacteria from reproducing. Benzoyl peroxide is the world’s most frequently used treatment for acne. The way benzoyl peroxide works is by irritating acne bacteria so they do not have the nutritional resources to reproduce. 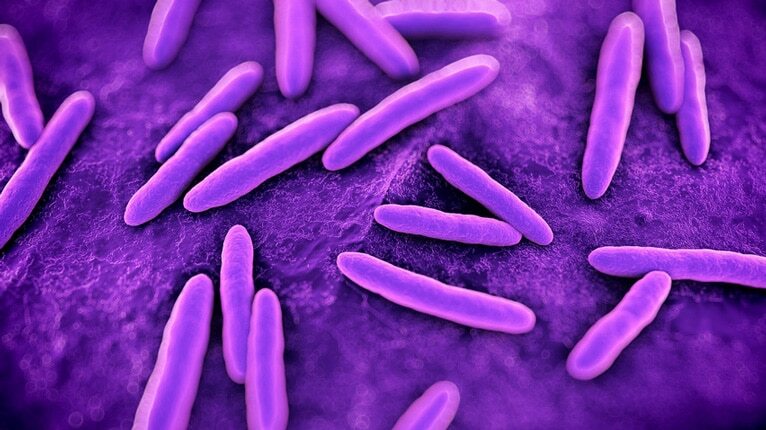 Since bacteria have a very short lifetime, in about 48 hours there are almost no bacteria left on the skin. Traditional benzoyl peroxide gels only treat pimples. Slow-release forms of benzoyl peroxide have an additional advantage. They also treat whiteheads and blackheads. You probably will experience a slight burning sensation the first time you use benzoyl peroxide. Up to 2.5% benzoyl peroxide gel or up to 5.5% slow-release benzoyl peroxide usually do not cause significant irritation after the first use. Not everyone should use benzoyl peroxide. If you have dark skin tones, be sure to use sun protection when you are using this product. Benzoyl peroxide is a synthetic chemical that happens to imitate two natural substances. The benzoyl peroxide you get in a tube of face gel begins as toluene distilled from petroleum that is sent through three chemical reactions. When you put the product on your face it breaks down into benzoic acid and oxygen. Benzoyl peroxide works in three major ways. It kills germs, unblocks clogged pores and minimizes inflammation. Benzoic acid has been used to treat skin infections since the 1890’s, when it was popularized as Whitfield’s ointment. Oxygen is toxic to some kinds of bacteria—although it is not especially toxic to acne bacteria. Benzoyl peroxide, incidentally, is poisonous to cats, so don’t let kitty lick your face if you have used benzoyl peroxide. How Does Benzoyl Peroxide Fight Acne? Benzoyl peroxide does not deliver a knockout blow to acne bacteria, but about 99% of bacteria die without reproducing themselves over a 48-hour period. In the past, dermatologists and researchers believed that P. acnes bacteria was the cause of acne, so the treatment for acne was focused on finding ways to kill the bacteria. However, 50 years ago, this point was refuted, with research evidence showing that it was oxidative damage to the fatty cells that resulted in excess sebum being produced by the skin cells, and this was what caused acne. Nonetheless, this point of view was proved to be wrong and it was shown that bacteria does indeed affect acne. Acne often happens when inflammation occurs in an area and stimulates the production of sebum and keratin producing cells, which then lead to blocked pores. Since oxygen is consumed from the blocked pores, it creates an ideal environment for the P. acnes bacteria to survive. Consequently, according to this theory, if you can prevent your skin from getting inflamed, you can prevent acne. The oxygen released by benzoyl peroxide forms toxic free radicals of oxygen, which kill the P. acnes bacteria since it cannot live in an oxygen rich environment that is provided by benzoyl peroxide. Human skin has repair mechanisms that make it immune to these free radicals of oxygen. Acne bacteria have not quite as many repair mechanisms to help them maintain cellular integrity even when oxygen “burns” their cell membranes. One of the ways that benzoyl peroxide fights acne infection is by irritating acne bacteria and forcing them to spend energy in maintaining the integrity of their outer membranes. Since bacteria have a very short life span, any drain on their nutritional resources makes them more vulnerable to the human immune system, which is constantly releasing inflammatory hormones to dissolve them. Benzoyl Peroxide gets rid of acne causing bacteria fast. 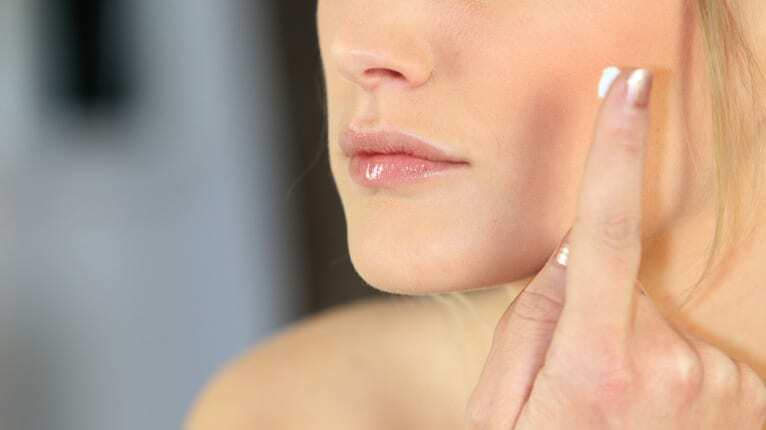 Some pharmaceutical companies have started using microsphere technology to make smaller amounts of benzoyl peroxide equally effective for killing acne bacteria, with fewer side effects. Microspheres are made by mixing benzoyl peroxide, ethanol (the kind of alcohol in alcoholic beverages), a chemical called triethyl citrate, and a polymer used that can also be used to make plastics. The mixture of chemicals creates microsponges that soak up benzoyl peroxide. These tiny sponges do not dissolve in water, but they can float in water. When the mixture of water and benzoyl peroxide microspheres is applied to the face, the microsponges release tiny amounts of benzoyl peroxide for several hours. Instead of using a large amount of benzoyl peroxide to kill a few acne bacteria all at once, microsphere technology makes it possible to use a small amount of benzoyl peroxide to kill a lot acne bacteria slowly. There are two big advantages of “solubilized” and “microsphere technology” preparations of benzoyl peroxide. One advantage is that they don’t cause as much itching, tingling, burning, and dryness. Even a 5.5% concentration of solubilized benzoyl peroxide left on the skin, in one study, caused no more skin irritation that than a common skin wash rinsed away 30 seconds after application to the skin. The other advantage of these modern formulations of benzoyl peroxide is that they get rid of whiteheads and blackheads as well as pimples. Regular benzoyl peroxide does not stay on the face long enough to peel the skin. Solubilized and microsphere benzoyl peroxide not only kill bacteria in pimples, they also break up clumps of dead skin that hold non-inflammatory blemishes in place and help pores drain. Which Form of Benzoyl Peroxide Should You Use? While the microsphere formulas are much better for fighting acne than the benzoyl peroxide gels that have been available for over 50 years, not everyone should use benzoyl peroxide. If you have rosacea, benzoyl peroxide may trigger formation of new small pimples due to irritation. Also, if you have Asian skin, failure to use sun protection when you use benzoyl peroxide may result in brown discoloration of the skin. Fortunately, there are many other products that also can clear up blemishes on rosacea-prone and Asian skin. 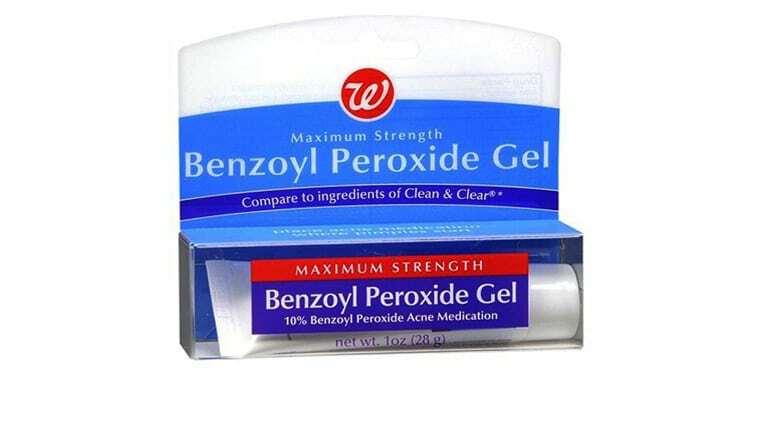 An over-the-counter benzoyl peroxide gel containing no more than 2.5% benzoyl peroxide. The US Food and Drug Administration has authorized labeling benzoyl peroxide as GRASE, or generally regarded as safe and effective. The concentrations used in medical studies, however, are usually stronger than the concentrations used in over the counter products, because medical researchers want to make sure they get a measurable effect from their products, whether or not they cause irritation. You want to get rid of acne, but you don’t want the side effects. That’s why you should start with either a 2.5% over-the-counter product or up to a 5.5% microsphere, controlled release, or time release benzoyl peroxide product for which you will most likely need a prescription. It is possible to buy up to 10% benzoyl peroxide over the counter, without a prescription in many forms (cream, gel, cleanser, face or body wash, lotion, etc). This strength of benzoyl peroxide is OK if you are using it for spot treatment, or for treating back acne, but you don’t want to put it all over your face. Use low concentrations of benzoyl peroxide for treating your entire face, or use the lowest strength of benzoyl peroxide you can find until you are sure it is not causing skin irritation. Benzoyl peroxide can also be combined with other products to make it more effective. It can be combined with clindamycin, otherwise known as Duac®, which is an antibiotic or adapline, otherwise known as Epiduo®. These medications should be prescribed by a doctor before use. Make sure to adhere to the instructions given by the doctor when using them. Other brand names for the product are Triaz and Brevoxyl. When you first start using benzoyl peroxide, expect your skin to get worse at first. Your skin may turn red and peel but, after 4 to 6 weeks, you will start observing some positive changes. Even after your skin has cleared, it is important to continue using this product to keep acne away. This is because relying too much on benzoyl peroxide does not really consist of good skin care but just focuses on getting rid of the problem. This doesn’t really leave your skin in great condition, so once you discontinue use of the product, your acne may come back worse than before. To prevent this from happening, the best thing is to use benzoyl peroxide strategically. Use it in small quantities, which is just adequate enough to open up your skin pores and to control the bacteria, but not so much that could cause your skin to get addicted to the peroxide. This way, when you stop using benzoyl peroxide, you won’t end up messing your face. Dab-a-does-it… Use sparingly and only to affected areas until your skin adjusts to it. Some studies have compared the effectiveness of benzoyl peroxide against the effectiveness of the topical application of a vitamin C derivative, sodium ascorbyl phosphate (SAP) and vitamin B3. The research findings have found vitamin BP and SAP to be more effective than benzoyl peroxide and topical antibiotics. To maximize the effect of benzoyl peroxide products on your skin, wash your face with soap and water 15 minutes before applying any gels or creams on your face and then use a towel to pat your face dry. When you first start using the product, leave it on for a few hours and then rinse it away. But with time, start leaving it on for longer and longer until you get to a time when you do not have to rinse it off after applying it. You can then start applying it two times a day. When you are using a facial wash, wet your face first with water, then pour the wash on your hands and then wash the affected areas. Leave it on your skin for a few minutes and then was it off and pat your face dry using a towel. Use lukewarm water and mild soap when washing your face. Make sure to let your doctor know if you are pregnant or breastfeeding. Do not let a child who is under 12 years old to use the product on their face, unless it has been prescribed by a doctor. When you start using benzoyl peroxide, avoid staying in the sun or use sunscreen since the product makes the skin to become more sensitive to sunlight. Keep the product away from your clothes and any fabric since it causes bleaching on clothes. Some of the side effects you will notice include redness, dryness and swelling. Avoid using it together with other acne medications without talking to your doctor or dermatologist to reduce chances of skin irritation. Some of the side effects of using the product include peeling or dry skin, slight stinging or a tingling sensation and skin that feels warm. Notify a doctor if you notice any rash or itchiness, swelling, redness and you get blisters or a burning feeling. Just getting rid of acne bacteria is never enough to keep your complexion clear and vibrant. It is always necessary to have a regular program that includes both cleansing and moisturizing as well as simple, painless microdermabrasion to get rid of reminders of past treatment errors. One of the best sources for the products you need for ongoing clear skin care is Exposed Skin Care. Really it is very good Product For Every One Of Them Who Facing Acne Problem.